I read this article and found it very interesting, thought it might be something for you. The article is called Audi Ladies Style Breakfast and is located at https://shaynnablaze.com/sb-little-black-books/audi-ladies-style-breakfast/. In October I spoke at Audi Barry Bourke’s first ever Ladies Style Breakfast event out at their showroom in Berwick. My topic for the day was the connection between style, luxury, and functionality in design – something that Audi does exceptionally well. I shared some tips on using colours, fabrics and current design trends to personalise home and workplaces, and give them a touch of luxe. We also did a Q&A session where I was able to answer some of the guests’ interior design and styling questions, providing them with specific solutions for their homes. 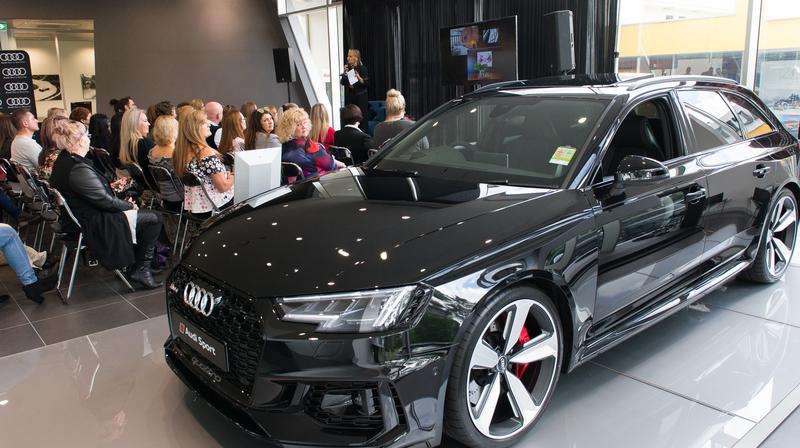 It was a fantastic event attended by 100 of their VIP clients who enjoyed a yummy breakfast, a little goodie bag, and a peek at four of Audi’s latest models, the Audi SQ7, S5 convertible, RS4 and Q5. If you’d like a personalised taste of the Audi Ladies Style experience, here’s your chance. Purchase any new or exceptionally priced demonstration Audi from Audi Barry Bourke to go into the draw to win a styling consultation with me, and $5,000 towards your home makeover. Offer exclusive to Audi Barry Bourke. Ends November 30. Visit audibarrybourke.com.au for terms and conditions.